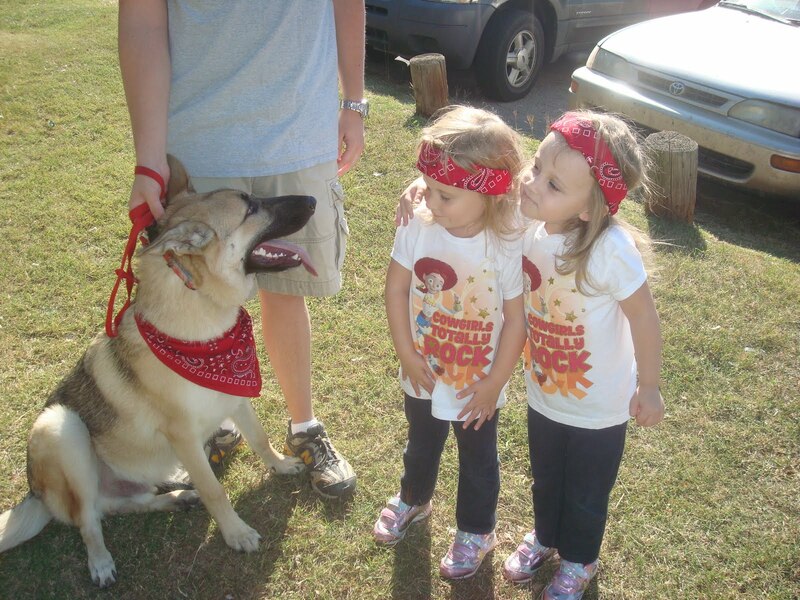 – This Saturday was “Bark in the Park,” our local Humane Society’s adoption drive event. We went last year sans BC (who would have gone nuts with all of those dogs there) and had so much fun. So, this year we loaded up everyone in two cars (yes, with Charlie we can’t all fit into one vehicle) and went to Bark in the Park. Charlie spent the first five minutes barking through the national anthem and all of the announcements, then calmed down enough to spend the rest of his time there sniffing every dog’s rear end and literally lying on the ground with the smaller breeds. He’s a sucker for Yorkies, y’all. Ana was unimpressed by the whole thing, but Emmy was in dog heaven, petting all of those pets. Charlie came home and slept for the rest of the day. An afternoon well spent! – I’m kicking around the idea of doing a fall garage sale. Wes hates them, but we’ve got a garage full of winter clothes that no longer fit the girls. Can someone come out to our house, sort through everything, set it all up, and just give us the money when it’s all done? Anyone? The washing machine just buzzed at me, and it’s time to leave and pick up Ana from school. Hope your Monday is just as exciting as it is here at the Faulk house! Again your girls are just adorable!